Rio Carnival 2019! 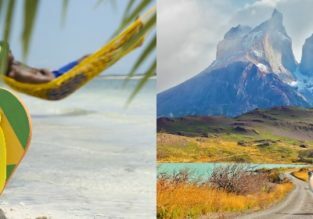 Cheap flights from Italy, Belgium or Netherlands to Brazil from only €315! (UPDATED) Ever wanted to visit Brazil? This is a good chance! Cheap flights from Belgium, Italy or Netherlands to Rio de Janeiro from only €315 roundtrip with TAP Portugal! 7-night B&B stay in top-rated 4* Hotel near Copacabana, Rio de Janeiro + flights from Italy or Benelux from €468! Ever wanted to visit Brazil? This is a great chance! We’ve put together a package with flights from Milan, Bologna, Venice, Rome, Amsterdam or Brussels and 7-night stay in top rated 4* hotel with breakfasts in Rio de Janeiro from only €563 (based on 2 person booking)! Florianopolis and Rio De Janeiro in one trip from Washington for $598! 7-night B&B stay in 4* hotel close to Copacabana in Rio + flights from Brussels from €563! Ever wanted to visit Brazil? This is a good chance! We’ve put together a package with flights from Brussels and 7-night stay in top rated 4* hotel with breakfasts in Rio de Janeiro for only €563 (based on 2 person booking)! HOT! 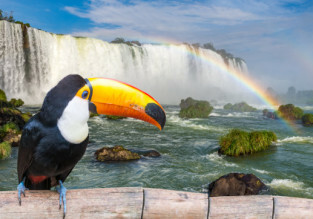 Flights from Doha, Qatar to Sao Paulo or Rio de Janeiro, Brazil for $536! 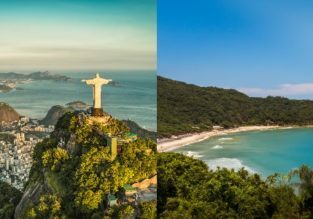 Flights from many Italian cities to Rio de Janeiro for €415! Italy to Rio de Janeiro, Brazil from just €398!